Ranbir Kapoor’s Jagga Jasoos earned him rave reviews for his performance and the stylish actor has already started focusing on his next venture, which is a biopic of the Bollywood actor Sanjay Dutt. 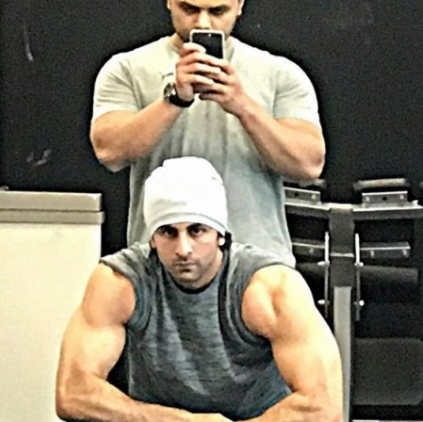 Recently a photo of Ranbir Kapoor was shared on Instagram by his Gym trainer Kunal and this photo has caught the attention of everybody. The beefed up avatar of Ranbir certainly reminded people of Sanjay Dutt in the 90s. It is also learned that the Jagga Jasoos star will be essaying six looks from Sanjay Dutt’s life. This has certainly raised the expectations for the film. Salman Khan to appear in Court! This popular actress to be a part of Bigg Boss? People looking for online information on Ranbir Kapoor will find this news story useful.